Australia has a bit of a reputation for having some of the ‘Largest’ things in the world. Often these are kitsch representations of some local industry or icon like ‘The Big Pineapple’ or ‘The Giant Koala; you get the idea. When I was told I was about to see the worlds largest coin (legal tender) in the Perth Mint I was not expecting what I was about to see. One thousand kilograms of 99.99% pure gold crafted into a single legal tender coin with a face value of one million dollars and a true gold value well over $54,000,000. I considered for a moment if there was a way I might roll it out of there but suspect its shear weight is all the theft protection it needs. 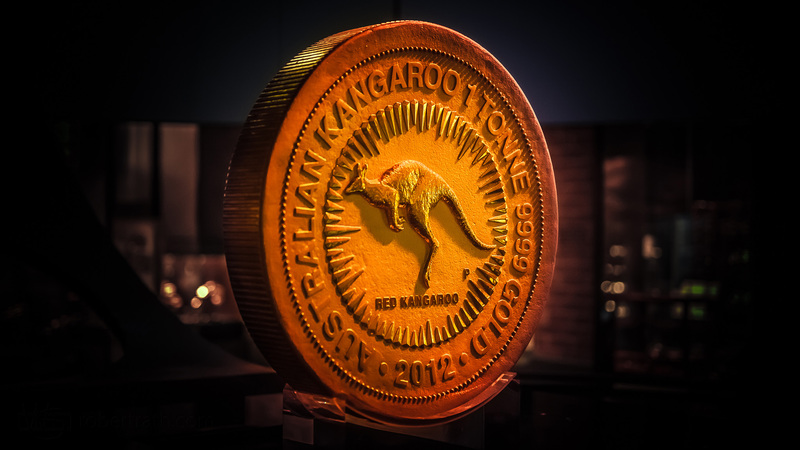 Australia might have a lot of kitsch ‘Big’ things but this coin is not one of them.